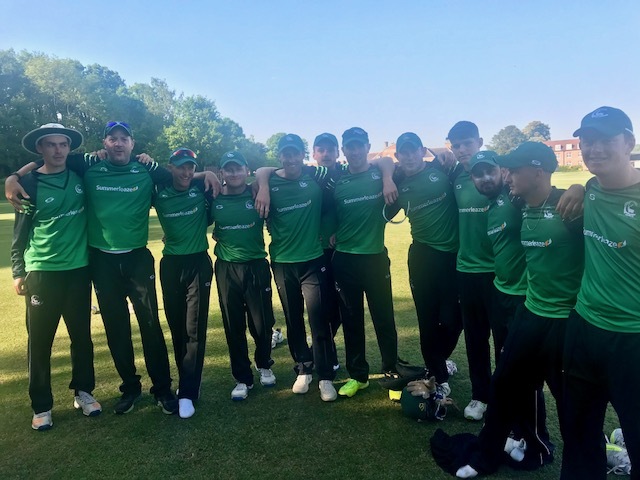 Berkshire opened their defence of the Unicorns Trophy with a 36-run win over Cornwall at The Oratory School. On a beautiful sunny day at this picturesque ground being used by the county for the first time, the holders made 261-9 in their 50 overs after being 90-6. Richard Morris led the recovery with a superb 131 off 116 minutes, with five 6s and 12 fours. He was well supported lower down the order by Joe Thomas with 36 and Tom Nugent 21. Berkshire then reduced Cornwall to 138-8 in 28 overs, with five wickets falling to spin. But they, too, then dug themselves out of a hole with Sam Wood blasting 106 off just 69 deliveries with five 6s and 11 4s. But the left-hander, who has played for Nottinghamshire, eventually fell to a skier, well taken by James Morris close to the long-off boundary off Andy Rishton. Wood dominated a ninth-wicket stand of 74 in eight overs with Nathan Pobega (15), who was then bowled by Ali Raja with the Cornwall total on 225 in the 44th over. Berkshire will be away to Devon, 56-run winners over Wiltshire, in the quarter-finals on June 10th. A week earlier, June 3rd, they have two T20 games against Oxfordshire at Falkland CC. * The Berkshire score was originally given as 260 but later amended to 261. Berkshire County Cricket Club won the toss and decided to bat.